Boy, have I got exciting news!! The gals are back and we hope you'll join us!! Adey and I were talking recently about how we missed The Sew Weekly. Back in 2011 (was it really 2.5 years ago??? ), Adey, Sarah, Mena, Veronica and I sewed up an outfit a week based on a common theme. 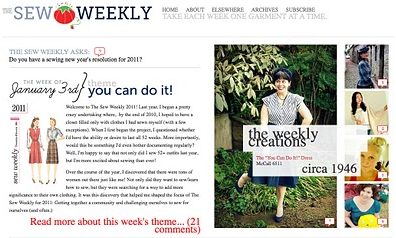 In 2012, it got even bigger with over 100 regular contributors all sewing weekly. We thought it would be fun to host a reunion. A super big thank you to Adey for organising everything. Everyone is welcome, whether you originally participated in the Sew Weekly or if this is new to you. Come grab a button and check it out at the Sew Weekly Reunion blog. Looking forward to sewing up a challenge with everyone!! Can't wait to find out what the theme is! 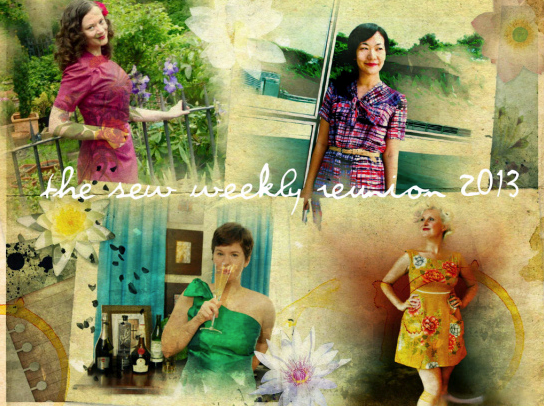 I adored sew weekly and am so disappointed that it has not continued. It was what got me into blogs. I am excited to see what you ladies will come up with! Ahhh this is so exciting! 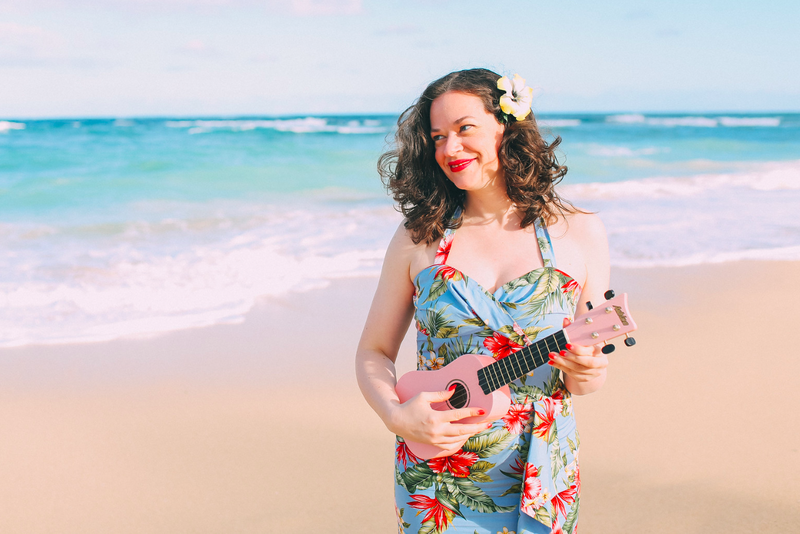 I was not sewing or blogging when this happened originally, but I recently stumbled upon some old Sew Weekly posts a month or so ago and I was so sad that it had stopped. Thanks for letting me know about the reunion - I hope to participate and see what beautiful designs everyone is making! So excited about this reunion! hooray!! !